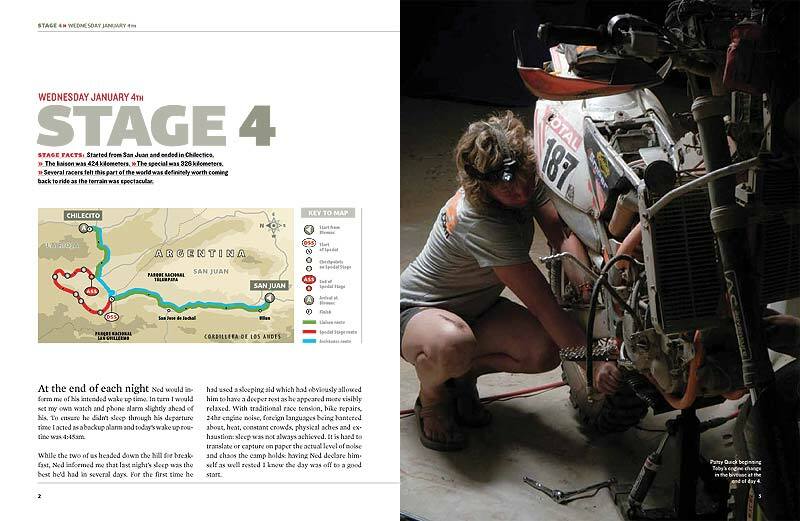 SA-Dakar 2012: New rally-book about the Dakar "Tales From The Bivouac"
The Dakar-Rally, currently being hosted in South America and formally of Africa is known as the world’s largest and most dangerous off road rally race. Ted Johnson was involved in the bik support crew for the US-American Rally Pan Am - and now he published a book about his impressions during the rally. "To me it represents the ultimate in sporting endeavours as it partners man and machine against Mother Nature’s playground. The allure of watching this race has become more than a hobby; it is a passion and an obsession" Johnson said. "Joining the "Rally Pan Am" support team I headed to the 2012 Dakar in South America ready for the adventure of a lifetime. Once on location I experienced a behind the scene perspective of the race I never imagined. From inside the bivouac I witnessed unbelievable triumph, heart-wrenching tragedy and inspiring race logistics." "My book ´Tales from the Bivouac’ traces how I achieved this opportunity, profiles each rider and supporting team member, the preparation process and day by day in-depth account of the race as each stage progressed." 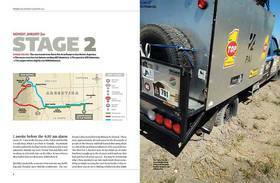 "In collaboration with international riders Ned Suesse, Bill Conger and Tobias Younger, each has contributed personal segments highlighting their journey towards achieving a finisher’s medal."